Wind noise in mobile telecommunication, unlike typical distractors affecting the audio performance and speech quality produced by DSP products, can easily reach levels exceeding 110 dBA SPL at the Ear Reference Point with even typical volume setting of the personal audio/communication device in use (such as cell phone device, Bluetooth device or hearing aid). The sensitive microphones in these devices can pick up significant SPL even in the presence of light breeze. The use of a single directional microphone does not help, in any tangible way, in reducing the SPL generated by wind noise. There are several well-established methods of reducing the impact of wind noise on speech quality in mobile telecommunication. Passive wind noise reduction methods are common. However, the results of noise reduction can be significantly improved by adding active DSP-based methods that use multi-sensor/multi-microphone array methods. Typically the DSP-based methods (of which software-base methods are often considered as preferred ones due to their flexibility) use basic properties of wind noise (or other air jets blowing across the closely located microphones) to alleviate its adverse impact on the speech quality. The cross-correlation function for output signals for two closely mounted microphones on the audio device housing has very different properties for wind noise and for other distractors (or other acoustic signals); while acoustic signals are highly correlated when observed at the microphone outputs, the wind noise signals are almost uncorrelated. Based on the above mentioned observation, wind noise detection can be based on checking the maximum value of the normalized cross-correlation function against a predetermined threshold. If that value is lower than the threshold, wind noise is detected. Otherwise, the wind noise is assumed to be of very low speed or practically absent. Cross-correlation function computation requires a lot of CPU cycles. Practically, wind noise signal detection can be achieved using an approximate, less computationally intensive approach based on estimating powers of the sum, PS = power(x1 + x2) , and the difference, PD = power(x1 – x2), of the two microphone signals. 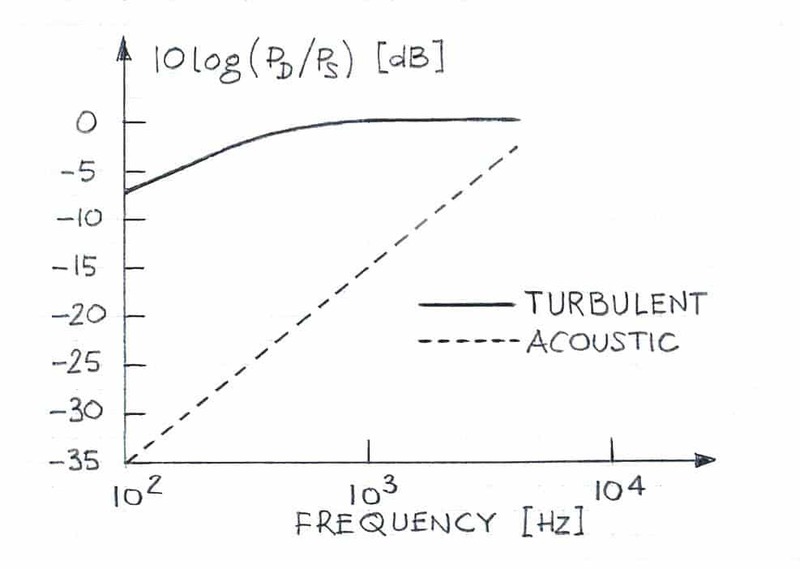 The ratio of these powers versus frequency is illustrated in Figure 1 (a case of 2-cm spacing and airflow speed of 5 m/s). 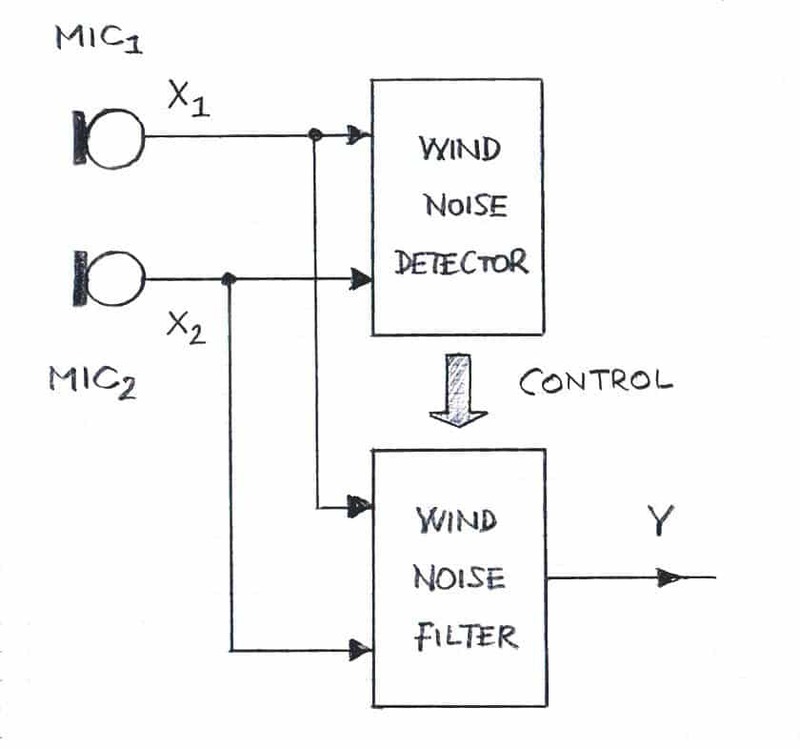 Figure 2 shows a functional block diagram of wind noise detection based on this approximateion method. A high-level diagram illustrating an approach to reducing the wind noise is shown in Figure 3. The underlying principle allowing detection of wind noise (as outlined already) produces spectral estimates of the wind noise and uses them, via a modified spectral subtraction approach, to reduce the effect of wind noise in the desired signal. Unlike in the classical spectral subtraction method, the modified spectral subtraction approach can be limited to the frequency band below 1200 Hz (approximately), i.e., where spectral components of the wind noise have the greatest magnitudes. VOCAL noise reduction solutions are designed to significantly reduce the noise level of different types of distracters, including wind noise (and that reduction is typically expressed quantitatively in weighted or non-weighted SNR values). In the case of wind noise, they are designed largely to maintain a natural sound of wind noise, while reducing its level and thus increasing SNR.